Exercise Reforger (Return of Forces to Germany) was an annual exercise conducted, during the Cold War by NATO. The exercise was intended to ensure that NATO had the ability to quickly deploy forces to West Germany in the event of a conflict with the Warsaw Pact. 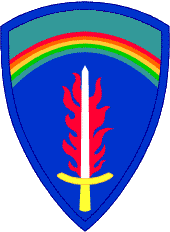 The Reforger exercise itself was first conceived in 1967. The Johnson administration announced plans to withdraw approximately two divisions from Europe during 1968. As a demonstration of its continuing commitment to the defense of NATO and to illustrate its capability of rapid reinforcement, a large scale force deployment was planned that would deploy a division or more to West Germany in a regular annual exercise. The first such exercise was conducted beginning on 6 January 1969. These exercises continued annually past the end of the Cold War, except for the year 1989, until 1993. Reforger 1988 was billed as the largest European ground maneuver since the end of World War II as 125,000 troops were deployed. The US Army also increased its rapid-reinforcement capability by prepositioning huge stocks of equipment and supplies in Europe at POMCUS (Prepositioning Of Material Configured in Unit Sets) sites. The maintenance of this equipment has provided extensive on-the-job training to reserve component support units. The first exercise began in January 1969 with 17,000 Soldiers, the last ended in May 1993 with 7,000. The largest exercise was in 1988 which included 124,800 Soldiers.